The Armed Gardener™ is a state-of-the art, patent pending protection sleeve that is perfect to be worn while doing your daily gardening. 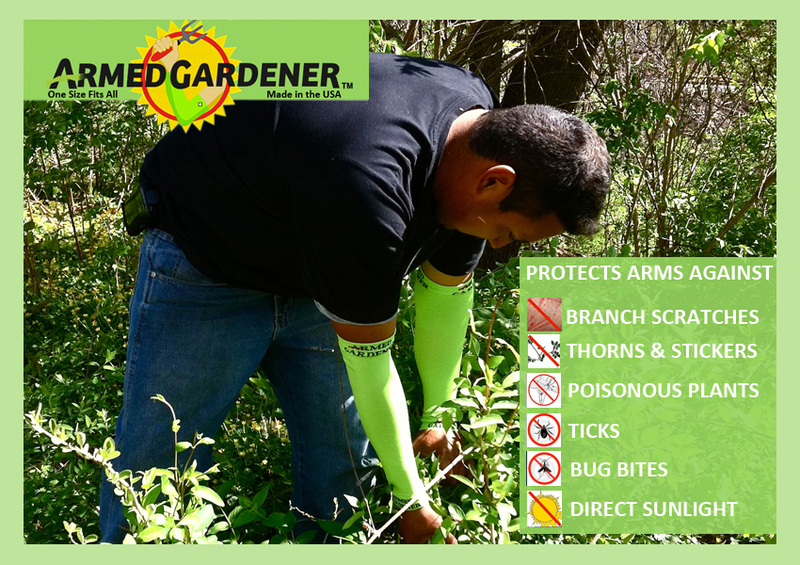 Used with or without gardening gloves, this light, flexible, and comfortable sleeve protects you against branch scratches, stickers, thorns, ticks, bug bites, direct sunlight, and even poison plants! Click here to buy today. Interested in becoming a distributor? Please click here to contact us about distributor pricing.